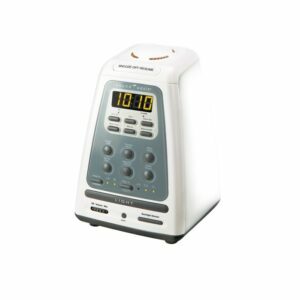 Many people enjoy the benefits of a light alarm clock or wake-up light such as the Sound Oasis BLS-100SO. 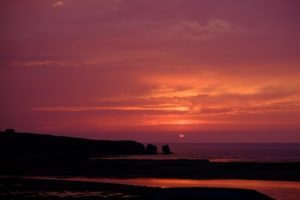 Like other wake-up lights, it provides bright white light in a sunrise wake-up clock however it also includes calming nature sounds to help you get to sleep. 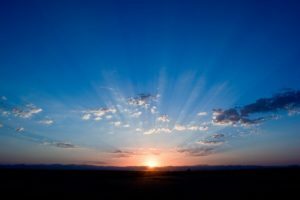 Studies have shown that bright white and blue light in the morning immediately reduces sleep inertia (the technical term for that grogginess you feel in the morning). For some, this is the ideal solution (see our satisfied customers’ testimonials) but for others a more personalized wake-up light may be the answer. If that's you, you'll be happy to know we designed the illumy sleep and wake mask to combine a relaxing sunset, complete light blocking all night and an invigorating, and sleep-inertia-clearing blue light alarm clock. You can learn more about illumy’s design on the illumy product page and to learn more about why it works, read more below. We’ve worked with sleep researchers to understand how sleep inertia affects us. From the nagging urge to press snooze 3 times, shuffling slowly around a dark house all the way to sluggishness right into the afternoon, sleep inertia can be a tough feeling to shake. Thankfully science gives us some hints on how to overcome it. Think back to the early summer when the days were getting longer and the sun was shining in the bedroom window in the morning and you’ll probably remember it was easy to get up in the morning (at least, easier!). There’s a reason for that and it comes down to getting enough daylight. In carefully controlled laboratory experiments, it has been shown that bright light exposure gives the body and mind an immediate increase in alertness. More intricate investigation has linked this mood boost or alertness increase to blue shifted or blue enriched light. Essentially your body recognizes cues from nature and reacts accordingly. In a natural environment, your eyes receive more blue natural light in the morning and during the day while in the evening and at night, the light is more subdued with a red overtone. Illumy recreates this natural light progression by waking you up with a blue enriched sunrise and helping you fall asleep with a natural sunset (more on the sunset below). It’s a light alarm clock built into a sleep mask. An important component of an ideal night’s sleep is total darkness. If you’ve ever closed your eyes while looking towards the sun or a light bulb, you’ve probably noticed that some of that light passes through your eye lids. When you’re trying to sleep with lights on, either a lamp or outdoor light sources, some of this light can affect your circadian rhythm. More importantly, if you wake up for a short period of time during the night and your eyes are exposed to external light sources, you can experience a boost in alertness at just the wrong time – when you want to get back to sleep. 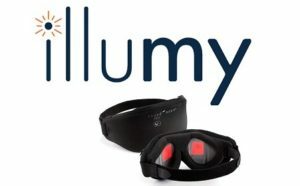 The illumy sleep mask is designed to block out external light sources and prevent unexpected sleep interruptions. While waking up with a blue light alarm clock and blocking out light while you sleep are important, you have to get to sleep first. Illumy has that covered too. 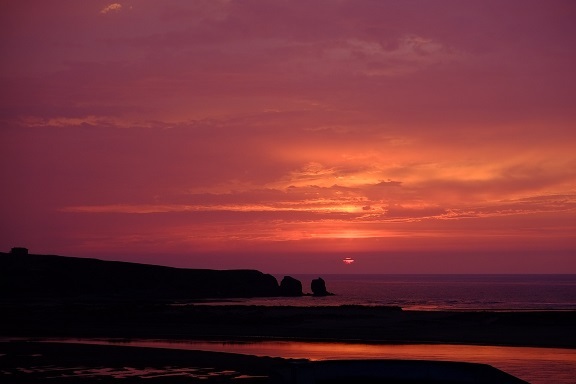 Our sleep experts suggested blue light in the morning but they suggest red light at night. In fact, this same regimen is used on the space station to help astronauts’ body clocks stay in sync. Just like blue light tells your body to be alert, red light lets you know it is evening and your body will start preparing for sleep. If you are one of those creative types who are always working over a hundred thoughts when you are trying to sleep, we’ve got the solution. We developed a technology to coach and guide your mind towards a relaxed state and we’ve used it in our nature sound machines for years. For the first time, we’ve included it in a sleep mask. Sleep Enhancement (our technical term for it) distracts you from your racing thoughts and paces you into sleepiness by gently pulsing red lights. The pace of the pulsing slows down every so slightly as time passes and the lights dim. Before you know it, your eye lids are heavy and you’ve forgotten what you were worried about. The next thing you know, it’s morning and the wake-up light alarm clock is helping start the day off right. For information or to try illumy, visit the illumy product page by clicking here.